On our road trip to Italy (and back home), we’ve stayed for a few days in the mountains. First, we stopped in a small Austrian town (stone throw from Innsbruck) to get that fresh, Tyrol air. And ride the funicular! We did the same in Bavaria, the Alpine region of Germany. Bayrischzell is a perfect place for long forest walks, goat milk (get in at Leitzachtaler Ziegenhof farm) and, in general, every other typically Bavarian activity like drinking beer (not for me, though!) and hiking. Oh, and taking a bath in front of a waterfall is nothing unusual here. If you’re here, hit the Wandelstein mountain that’s near – up there you might have a chance listen to local orchestra, eat the all-time classic wurst and fall in love with every single view. 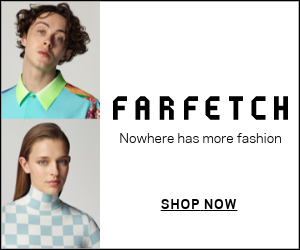 Well, maybe not ‘every’ – unless you’re into the current ‘fashion trekker’ look done by the locals and tourists. For those planning to reach the top of any other mountain in Tyrol or Bavara this summer – in style – you might want to get hold of these Marni Olive neoprene sneakers and that Y/Project hoodie . To be honest, my visit to Cape St. Vincent (or Cabo de São Vicente) is one of the most beautiful experiences in my life, and a must-see when staying in Portugal’s Algarve region. Once believed to be the ‘end of the world’, today Cape St. Vincent is a tourist attraction that many tourists don’t even know about actually. The area (where you can as well find the obsolete Franciscan monastery and a renovated light-house) is largely protected as a National Park. You will surely observe countless wildflowers (including Algarve orchids) and migrant birds. But, oh my, those views! THAT AIR! The sunsets are spectacular, but that’s quite clear. And the woollen sweaters you can buy at the entrance during the day are also worth the drive. Frozen, winter forest. Wild beaches (the Polish sea-side is so underrated by the Poles!). Wandering off the beaten path. That’s a dreamy way of ending a year. And entering a new one! With some champagne in the historic library of Ciekocinko Palace, as well… in other words, those were immensely beautiful couple of days. Horses in the Ciekocinko palace. That Lanvin by Alber Elbaz dress is a fantasy. Boots by Givenchy. And my dad, as well!